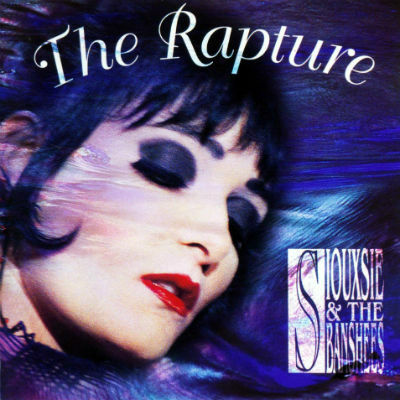 By the time Siouxsie and the Banshees released The Rapture in 1995, they had been together for almost two decades. They’d blazed a path with a dark and daring sound that still had just enough pop to entice two generations of spooky youngsters, and you will never for a second find me saying that Siouxsie and Steve Severin should be considered anything other than two of the most important names in goth composition. But their final, 11th album remains a total mess. Even for a band that was always known for tackling a lot of different angles on their records there is an incredibly fractured feeling that you can’t get past. Part of it is that the band was pretty clearly staying together at that point because they were, commercially speaking, a very successful live band in the mid-’90s. They’d been a major act in the first Lollapalooza, and were enjoying the fruits of a long and productive career, even if they never seemed terribly comfortable with that label. Both Siouxsie and Severin said in interviews around that time they didn’t consider themselves either old or iconic. READ THE REST OF THE ARTICLE HERE >>> The Five Most Disappointing Goth Albums: Siouxsie and the Banshees, The Rapture – Houston – Music – Rocks Off.